Why Should I See A Prosthodontist? Do I Need an Orthodontist? 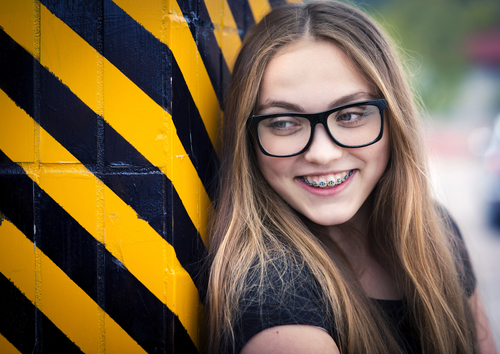 Orthodontics isn’t just about looks. While aesthetics play a role in determining who is recommended for our services, many of the problems we frequently address cause actual harm to your health, especially over time. Whether you are looking to correct minor flaws in your appearance or to save a compromised bite, we can help you get your teeth in order. Wide gaps are probably the first thing you think of when contemplating braces, and are primarily an aesthetic concern. We can help eliminate these gaps for a bright, even smile. Crowding is the opposite of wide gaps, and usually happens when a patient’s jaw is too small to accommodate all their teeth. This is usually addressed by removing a tooth and letting the others ease into the space. Protruding teeth are at extra risk of damage and wear. We make sure that the teeth are all the same length to present one smooth, united surface. Overbite, underbite, reverse bite, and cross bite all refer to the way the top and bottom jaws fit together. Ordinarily, when teeth are closed, the top row of teeth sits just slightly outside the bottom row. But if this is reversed for some of all teeth, or if the gap between the jaws is simply too wide, this can be corrected by our office. Open bite means that, even when teeth are clenched, an opening remains between the top and bottom teeth. In children, this is often caused by thumb sucking, and is a problem that can extend even to the bone. Impacted teeth emerge in the wrong position, sometimes pressing on other teeth, and often must be removed. Crooked teeth put an unusual amount of wear on the bone due to the angle of the forces exerted on them. Straightening them protects both the jaw and the teeth themselves. If you suffer from any of these issues, or you aren’t sure whether you might, you can make an appointment with our office by phone or online. At Advanced Dentistry of Scarsdale, Westchester orthodontist Dr. Celenza works together with a team of Westchester cosmetic dentists to straighten your teeth and correct your bite. Call us today! Our patients often say: "I am always confident that I will receive the best dental care possible." Copyright © Advanced Dentistry of Scarsdale. All rights reserved.